Remington : Core -Lokt , Accutip , Core- Lokt Ultra. Norma : Punta Plastico (D.C.), Vulkan, Ballistic Tip ( BST), Soft Point (SP). RWS : ID Classic, UNI Classic, DK, KS, H Mantel, T Mantel, Evo. 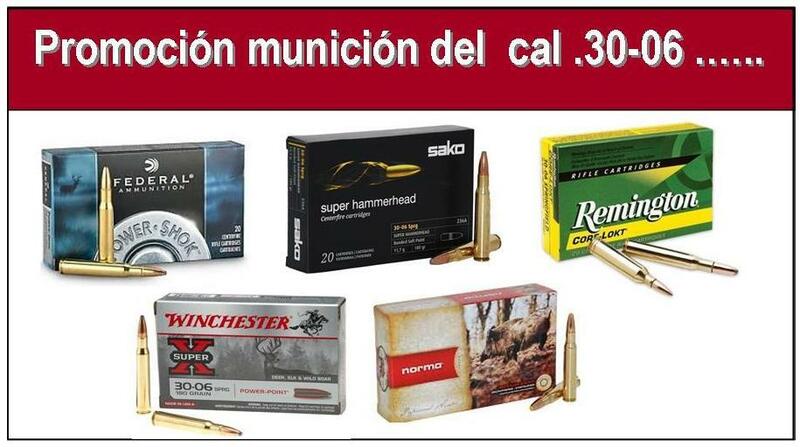 Hornady. - Custom y Superformance. Federal : Premium y Fusion.